The days are getting longer, the warm nights are more welcoming, and events are popping up all over now that summertime in London is upon us! Prepare for an unforgettable summer with these events coming to your favorite city in the UK! Catch the annual summer opening of the Queen’s humble abode. But it’s Buckingham Palace, so don’t expect humble, expect lavish. Be sure to get your ticket in advance! Celebrate the nation’s LQBT+ community with the Pride in London festival that takes place 23 June to 7 July 2019! Don’t miss the most colorful parade you’ll ever see on 6 July! Treat yourself to the circus, cabaret and comedy shows on the South Bank, as well as one of London's biggest outdoor bars. Better yet, most tickets are under £20! Underbelly is running 5 April to 29 September. Notably one of the biggest of London's epic summer concerts is British Summer Time in Hyde Park. This year the biggest names include Roger Waters, The Cure, Eric Clapton, Michael Bublé, Bruno Mars and Paul Simon . British Summer Time will be running 6-14 July. 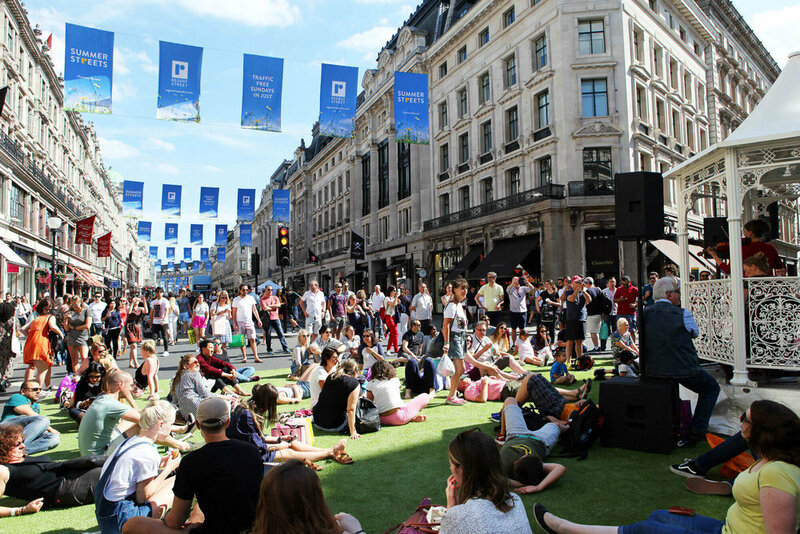 Shop on a traffic-free Regent Street, tuck into treats for the ultimate foodies and enjoy free entertainment during Summer Streets every Sunday in July. London turns it on for summer time with rooftop bars aplenty. Some of the fan favourites including The Rooftop, Radio Rooftop, Bar Elba, Bussey Rooftop Bar, Netil360, The Boundary, The Prince of Wales Brixton, and Roof East. Older PostWhere Should You Travel To In 2019?